Prem Chand Brothers are a reputed Exporter, Supplier, Wholesaler, Trader and Manufacturer of superior quality of Hanging Towels. We offer an exquisite range of Hanging Towels that cater to household applications. Our range is widely utilized for its excellent features that include durability, aesthetic value and comfort. We provide this range for fridges and wash basin which is offered in various attractive designs and colors. These towels are highly absorbent and durable in features. We offer at competitive rates to our clients with innovative designs and changes according to the trend in the market from time to time. We under take bulk supplies as well. 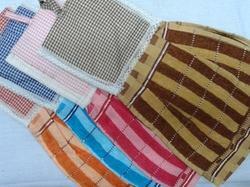 Kitchen Hanger Towel range offeredcomprises exclusive and enchanting range of cotton towels to pick from. Featuring neatly fabricated finish, these are available in size options of 15 inches x 9 inches and are essential for everyday use in household kitchens. 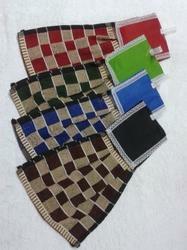 The exclusive finish of towels also makes these highly demanded by the customers. 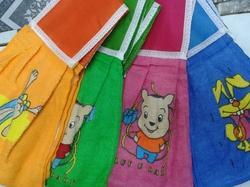 Further, the finish features of towels can also be custom developed as demanded by the customers.